The most important goal on any job site is to keep workers safe. The health and well-being of employees is not only an ethical concern, but the absence of it is the single most costly line item for most businesses. What seems like a relatively minor jobsite accident actually ends up costing about 4.5 times more than your books may show, according to the Occupational Health and Safety Administration (OSHA). Consider OSHA’s calculations for the indirect costs accrued by an injury. 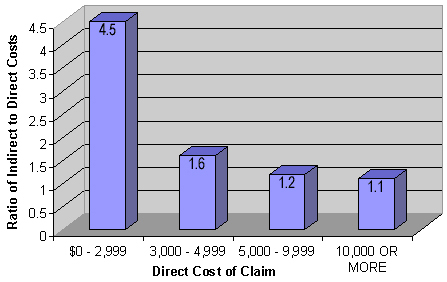 They are always higher than the direct costs: filing a Worker’s Compensation claim, lost days of productivity, any legal costs. The least serious injury OHSA requires reporting on is any work-related injury that requires medical attention beyond first aid, or any work-related fracture or cracked bone or tooth, or hearing loss. Although any conscientious employer makes every effort to ensure these types of accidents do not happen, statistics show they still occur far too often. Take a small eye injury caused by a piece of flying debris. It may only mean a few days of missed work for the injured person, but the average cost of that injury is US$1,463.00 when hidden costs are taken into account. One important component in ensuring worker safety is providing the proper equipment for the job. In the service truck industry, there is a myriad of choices for job-designed tools. These tools often ensure the worker stays out of harm’s way while performing specific tasks. However, the same cannot be said about the commercial van industry. In most cases, upfitters do their best to modify equipment designed to work on work trucks, to work on commercial vans. There are very few tool and equipment innovations that consider the unique strengths and challenges created by vans. This becomes a bigger issue when the tool has the potential to cause harm to a worker. Air compressors pose one such threat. We have already looked at how they contribute to excessive heat and gasoline explosions. Depending on how they are installed, they also cause unneeded exposure to toxic fumes, can cause heavy-lifting injuries such as back and leg problems, and force workers to risk falls by standing on precarious surfaces. An easy fix to a potentially very expensive injury is to invest in the right equipment to begin with. The VMAC UNDERHOOD40 rotary screw air compressor was engineered specifically for commercial vans and eliminates all of these concerns. When considering Return On Investment, these costs must be considered if you invest in equipment that creates potential danger for you or your employees. To learn more about keeping workers safe, please email us at [email protected]. Help your customers keep their workers safe by sharing this information with them.